Time has a way of compressing as we get older. It seems like only yesterday that our water resources in our lakes and rivers were in great shape. Today, not so much. At the dawn of the new millennium, Lake Tahoe was at full capacity, the reservoirs on the Truckee, likewise. The Truckee River was flowing at over 1000 CFS during May and June. We just didn’t know then that we were at the cusp of a 14 year-long dry spell . It has taken its toll on Lake Tahoe storage (just 17″ above its rim as of this writing, and almost certain to go below this summer or fall). 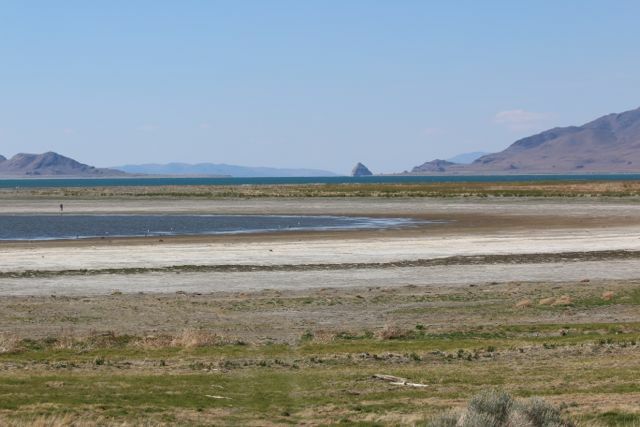 Pyramid Lake has fallen many feet in elevation, but what is dramatic is the amount of shore exposed by the receding water in this long-term drought. As we’ve explained in other posts, we westerners have relied on a repeat of the precipitation patterns for this century as we have for the preceding century and a half. So far, it’s not working out for us. August 2004 Pyramid Lake view to Anaho Island from south shore. 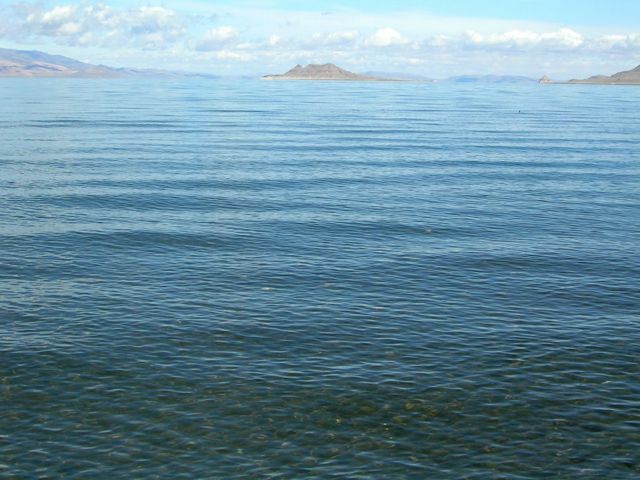 April 2014 Pyramid Lake view to Anaho Island from south shore. This entry was posted in Fish and Wildlife, Keep it flowing, Recreate on May 27, 2014 by Dennis Ghiglieri.